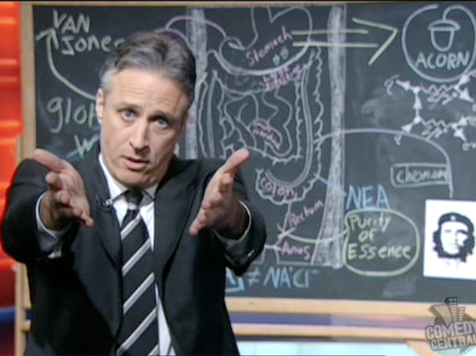 I have already posted Jon Stewart this week, but last night he did a bit that has the blogosphere buzzing. Here Jon channels Glenn Beck to eviscerate Glenn Beck. The self-described “rodeo clown” should’ve known better. Because of Jon Stewart, we can be thankful he didn’t. In Canada, watch it here. In the U.S. and the rest of the world, watch it here. In case there’s any doubt about the relevance: it’s a reminder that progressives get to push back too, and that they are much better at enlightening satire than “conservatives” of the Fox News variety, who are self-satirizing at best. This entry was posted in TGIF on March 19, 2010 by Michael Happy.